Summer is near, and you are looking for ways to spruce up your yard. There are many ways to do that, but Stone Edging in Fort Worth, TX may be the best landscaping option. Stones are very durable and look great. Plus, they add style and sophistication to gardens, walkways, flowerbeds, driveways, and ponds and to other areas such as paved patios or around fruit trees. Edging is the best way to protect your walkways, driveway, flowerbeds and gardens against damaging elements such as rain, sleet and snow. Plus, they will protect against heavy foot traffic and daily wear and tear. Edging will also help enhance the appearance and value of your property. The use of stones for edging is ideal for accentuating and highlighting your yard and various areas like gardens, flowerbeds and walkways. Edging can also be used to keep critters from ruining your yard and other areas. Stones are very versatile and will give your yard a unique appearance. You can opt for various styles and colors. In addition, you can choose from a variety of textures, sizes and shapes. You can have your stones installed any way you wish. They can be placed in a flat or horizontal line or you can elect to have vertical edging. Plus, stones can be placed high or low and can be in a curved or straight line. The possibilities are virtually endless, which is why Stone Edging in Fort Worth, TX is so popular with homeowners these days. If you are looking for a great way to enhance the appearance and value of your property, we highly suggest that you contact us today. 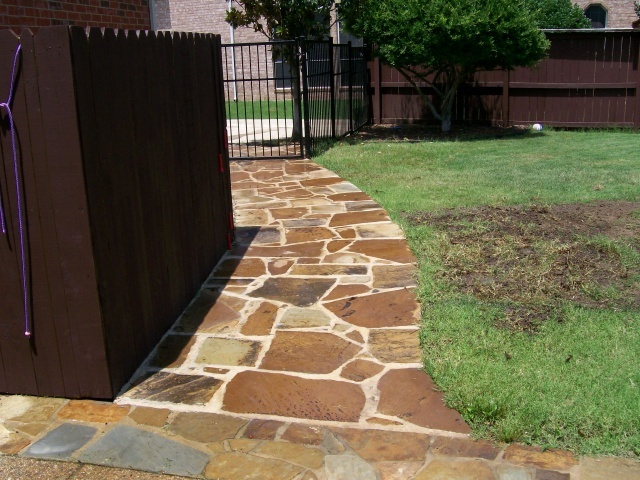 We have been in existence for many years and are experts in Stone Edging in Fort Worth, TX. You can trust our technicians to make your yard look immaculate.